Social networking sites help users plan the perfect Vegas vacation. 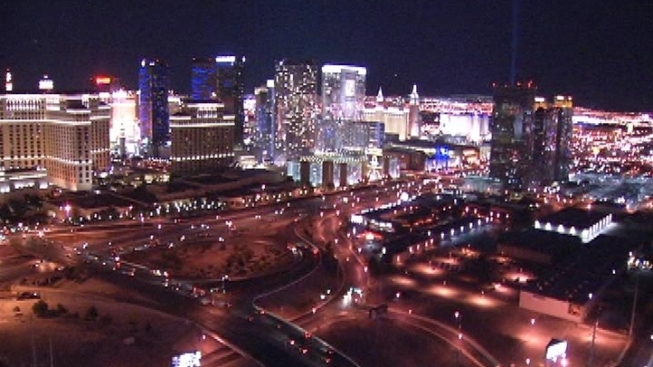 The Las Vegas strip shines with self-promotion and promises to deliver the "wow" factor. Las Vegas is a traditional vacation destination, but now they are hopping to attract a new kind of visitor, one who makes their travel plans through social networking. Want to know what's going on inside all the hotels? Just head to their Facebook pages, twitter, or youtube to find out. "Social media in Las Vegas is remarkably important," says David Koloski, Director of Social Media, Caesar's Entertainment. That's because in Las Vegas there are so many options to chose from. Caesar's Entertainment has formed a new social media nerve center. The conglomerate has eight hotels on the strip, and at the nerve center Twitter and Facebook pages of each property are monitored 24/7. Guests can think of the web specialists who work there as a quick-responding, yet invisible, concierge. "It's the best way for them to actually get information in real time," according to Koloski. "Anything that really is going to enhance your overall trip, we look for technology to help serve that," says Neal Narayani, Director Strategic Marketing, Caesars Entertainment. Soon, all you may need in the desert oasis now is suntan lotion, and a cell phone. "It's really going towards mobile. Everything is looking towards technology that's in your pocket," says Narayani. "Everything is heading toward the app direction. So now, nearly everything a visitor needs while in Las Vegas is now just a hand-held device away.